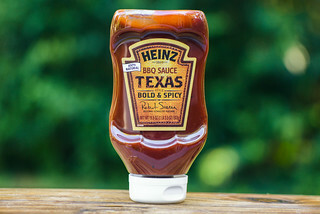 Suffering a bit of an identity crisis between sweet mustard and heat, Salt Lick Spicy Recipe diminishes the addictive quality of the Original, but remains a worth contender in the crowded field of barbecue sauce. Over the holidays, I made my annual pilgrimage to Texas. Sure, the primary reason of these visits may be to spend time with the in-laws, but I don't miss the opportunity to force the family to take me to at least one new (for me) barbecue joint each time I'm in the Lone Star State, no matter how far it may be. During a trip down there last spring, I made my inaugural visit to the barbecue institution that is the Salt Lick. After finishing my plate of brisket and sausage, I picked up a few bottles of sauce for testing back in New York. I've already covered the Original and Chipotle recipes, and this Spicy Recipe represents the last in the trio of sauces from this 45 year old restaurant helmed by pitmaster Scott Roberts, progeny of the original owners Thurman Roberts, Sr. and Hisako Roberts. Like the Original recipe, this sauce starts with a strong sweet and tangy mustard smell. There's only a slight hint of heat and a little Worcestershire behind the dominant aroma that's most akin to honey mustard. The orange-yellow sauce is medium-thin and has fine smoothness that's only broken by the large specs of many visible spices, like coarse grinds of red and black peppers. It flows quickly in a steady, continuous stream off of a suspended spoon, leaving only a thin layer of sauce clinging to the spoon. 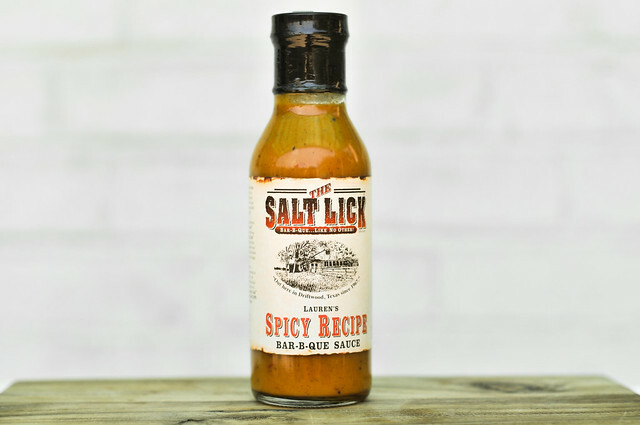 Salt Lick's Spicy Recipes starts of with an overall sweetness which is quickly punched back by a kick of vinegar. That tanginess continues, but evolves with the pungent, sharp flavor of mustard. 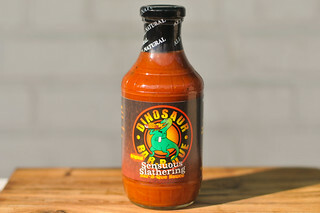 While kept somewhat in check by the sugar, the mustard starts to leave a little burn on the tongue, but this heat is then taken over by the habanero sauce, which delivers more spice and virtually no fruitiness. A slight burn and peppery bite is left lingering on the tongue for a while after all is said and done. Only a light coating of sauce was left on the chicken, even after extra brushes. 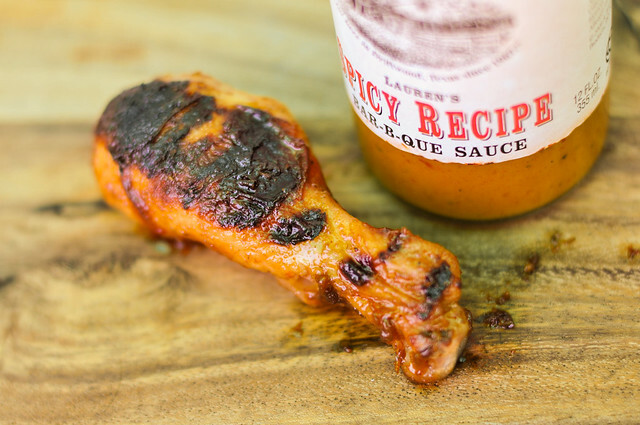 Although thin, there was a lot of burning when introduced to direct heat, leaving most of the chicken leg charred. The overall flavor really diminished after being cooked—there was a little sweetness but the mustard tang and habanero heat were in complete retreat. Unfortunately, this left the burnt chicken tasting, well, burnt. Not enough sauce built up to inject flavor into the charred parts. 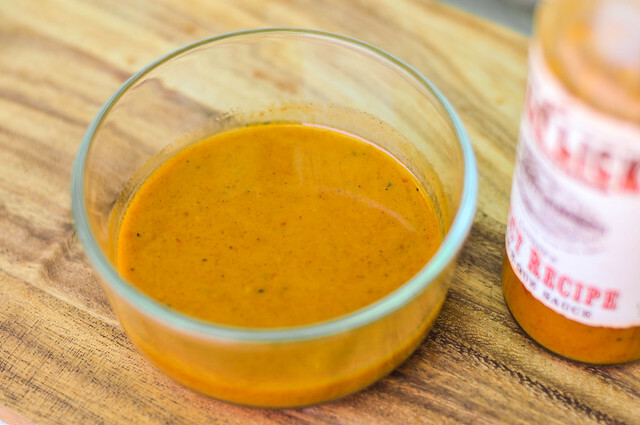 Unlike the Original recipe, which I savored for its unabashed treatment as an addicting and super tangy honey mustard, the Spicy Recipe suffers a bit of an identity crisis. You get the sweet mustard flavor, but the addition of heat makes my favorite part of the Salt Lick sauce a fleeting component. While I'm usually all over spicy sauces, I felt the heat here distracted more than it added. Pair that along with sauce not really being usable on the grill because of its tendency to burn, the Spicy Recipe comes in a few notches below the Original. Still, in the spectrum of sauces, this is not bad at all. It's be good as a dip or side sauce for some mildly seasoned ribs or pork. 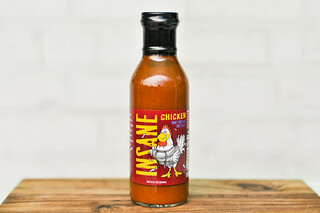 It may even do better if you divorce it from its barbecue roots and use it as condiment for sandwiches or fried goods. I had to hop over and check the original version review you did. I need to try that with some beef ribs. I have recently fallen for Stubb's original with beef ribs and you weren't crazy about that one, so the Salt Like original might really be great. @Chris My tastes might be a bit backwards...I know a lot of people who love Stubb's and don't think much of Salt Lick. Salt Lick is really a glorified honey mustard though, but damn it's addictive.